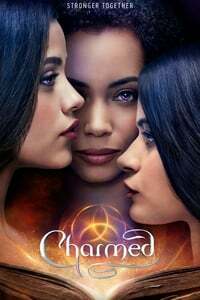 TV Fanatic review - "Charmed (2018) Season 1 Episode 1 wasn’t a total disaster, I’ll give it that. It had moments of genuine humor, the chemistry between the sisters is organically there, it wasn’t boring, and there were a few points during the episode I thought, “this could really be something.” Only a very few though." Oof, I'm in the 'hated it' camp. I mean, this reboot would have had a hard time winning me over due to my unabashed love of the original, and my certainty this reboot getting on the schedule is partly to blame for Supernatural's 'Wayward Sisters' not being on the schedule. But I agree with the Vulture and TV Fanatic reviews -- no chemistry between the 3 leads, faux-wokeness, completely unappealing Giles-wannabe of a whitelighter. Even if he turns out to be a baddie like the ouija board warned, his mansplainy damage has been done. I didn't hate it as much as the negative reviews made me think I would--but then, I think I only ever saw about 2 episodes of the original. I think the critique that I agree with most is that they seem to want to strive for a sort of pan-Latina representation, but haven't really done anything with it; a little disappointing given how well Jane the Virgin shows a multigenerational Latinas in complex relationships. Along those lines, Hilltown was depressingly generic (and mostly sounded like they desperately just wanted everyone to think of Sunnydale) and their Whitelighter was definitely a wanna-be Giles. Things I liked: Mel in the sorority house was kind of hilarious, and Mel's relationship with her girlfriend was well done. That said, I LOL'd at the idea that her girlfriend was supposed to be... a detective? Or something? She in no way seemed either authoritative or trained, and I don't know why but especially the glasses bugged me. I agree with TS. It wasn't the best but I didn't hate it nearly as much as I expected. Gonna try episode 2. Wish me luck. "Your powers are judging you." Possibly my favorite part, made me laugh. I can never tell how good something will be this soon, but I at least want to watch the next episode. So far I'm intrigued. I hate to say it but I'm clearly an easy mark 'cause they bought me watching the next episode with the bit where Trump's election is one of the signs of the apocalypse. FANSERVICE. I'm more with the AV Club take on this one. The original was white-washed and even though I liked it at the time, it hasn't aged well. Not sure I'd have watched this at all if it weren't for having seen the OG growing up, but I'll give this a few more shots for sure.